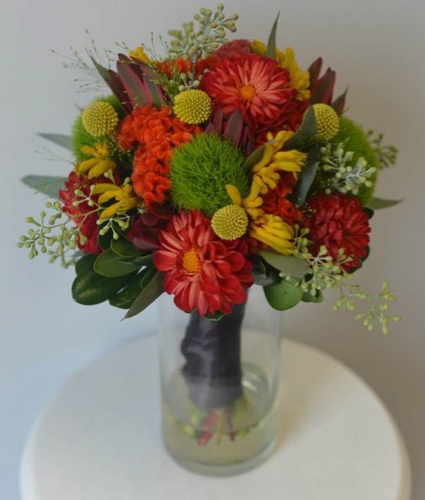 Bri’s vision was to create the perfect fall wedding at the Starline Factory in Harvard, IL. 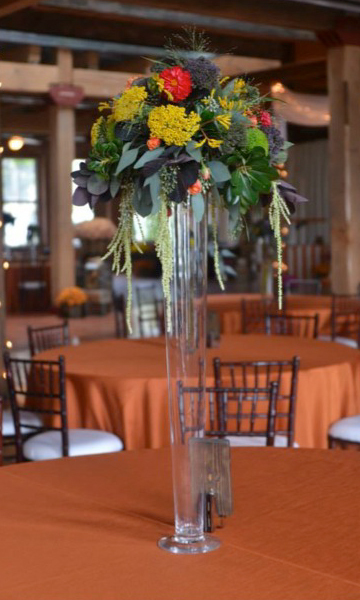 She had a palate of orange and purple and wanted to show off the personality of her new husband and herself. 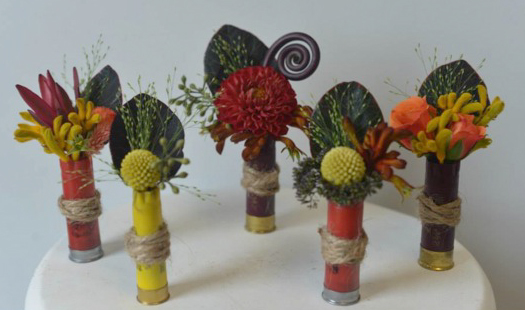 The boutonnieres were made from shotgun shells because one of the couple’s hobbies is hunting. 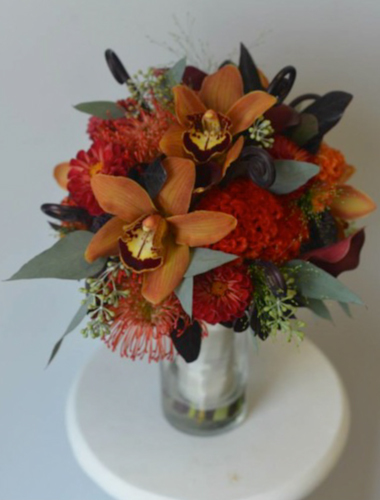 The bouquets were made with protea, chocolate cymbidiums, and fern curls. 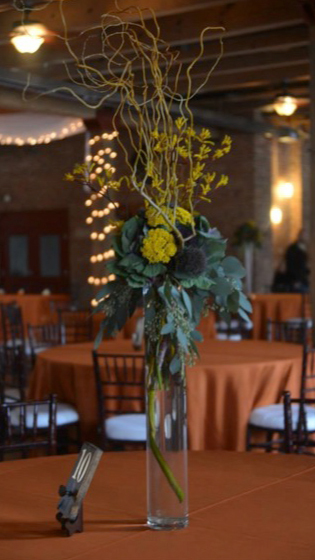 They had tall, striking centerpieces that fit perfectly with their theme.